Nordis Signs would like to congratulate Justin on the completion of his NVQ level 2 and the conclusion of his apprenticeship. Justin went straight into employment after school, but his Apprenticeship has enabled him to gain qualifications at the same time. 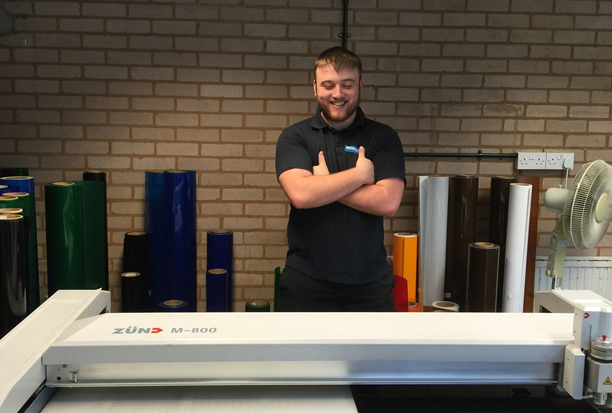 Over the past two years Justin has become a valued member of the Nordis Signs team.